Any person that considers moving wants to know exactly what the area they decide to move to has to offer as it pertains to shopping and things to do. This is no different with St. Simons real estate. Luckily, St. Simon offers some amazing shopping spots that will have any tourist weighing the possibility of moving to this area in the near future. Between the great antiques and book stores, this area is a can’t miss. When it comes to great antique shopping, the Oglethorpe Antiques and Interiors offers a great deal of amazing things forÂ touristsÂ and residents alike. The store presents a great deal of 17th, 18th and 19th century American, English and French works that will have any fan of history or antiques chomping at the bit. It has beenÂ describedÂ as a “treasure trove” for any fan of good antiques and lives up to its name with every passing day. It truly is one of t he main places anyone in the area should visit. Also, St. Simon has a great bookstore within its boundaries called G.J. Ford Bookshop. This shop is the largest independent bookstore in the Golden Islands and consistently puts out the best product around. The store offers a wide range of books, including human interest,Â children’sÂ sci-fi, non fiction, mystery, books on tape, CD and everything in between. 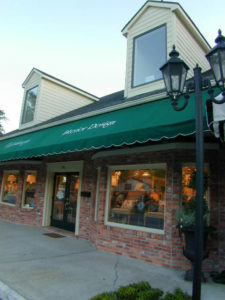 It is the most all encompassing book store in the area and continues to deliver the best customer service imaginable. It is definitely worth visiting while you are in St. Simons. When it comes to shopping, St. Simon is second to none in the Golden Islands. It offers a wide range of shops, most notably its antique and book stores, for anyone willing to make the trip. If you have any questions about the area, please contact DeLoach Sotheby’s International Realty.